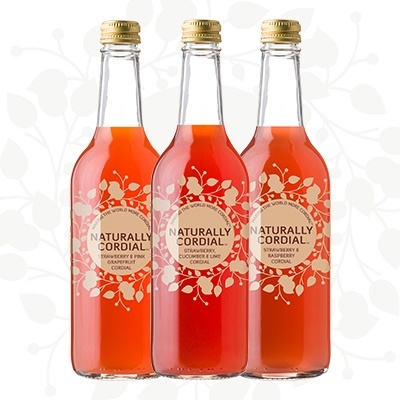 We are delighted to re-introduce our refreshing strawberry flavoured cordials for the season ahead. Made with juicy Wexford strawberries, these drinks are the perfect way to cool down. Strawberry, Cucumber & Lime is the signature flavour from this range. The subtle addition of cucumber and lime to the strawberry fruit gives a delicate taste which is perfect served with sparkling water or add gin and a wedge of lime for a zingy summer cocktail. Back by popular demand, the Strawberry & Raspberry and Strawberry & Pink Grapefruit flavours are a real favourite of big and small kids alike. Add to still or sparkling water with plenty of ice for a truly refreshing summers drink.